Pink and black bunny shaped glasses made from heavy, high density, white poster board, liquid laminated for a high gloss finish. Includes preprinted stock graphics. Quick turn, just ask. Your imprint will be prominently displayed on the temple. 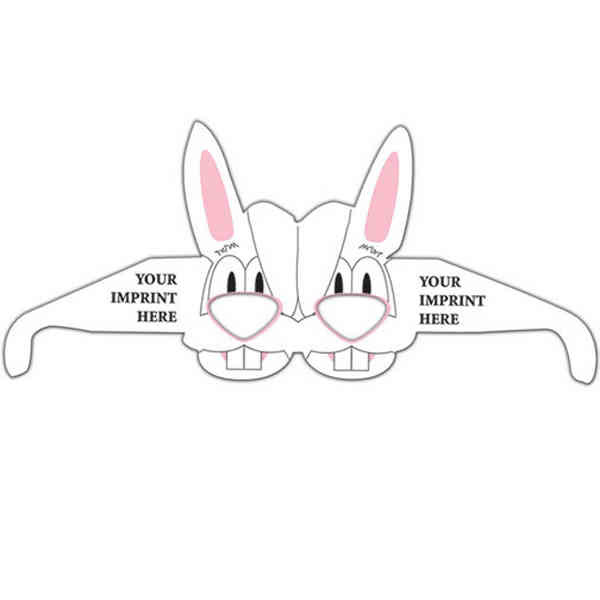 The perfect fun promotional item during Easter!. Sure to draw attention year after year.